I ate dessert twice yesterday. Is that wrong? First dessert was a Pavlova which I had with Dad for Afternoon Tea at Hillmount Garden Centre. 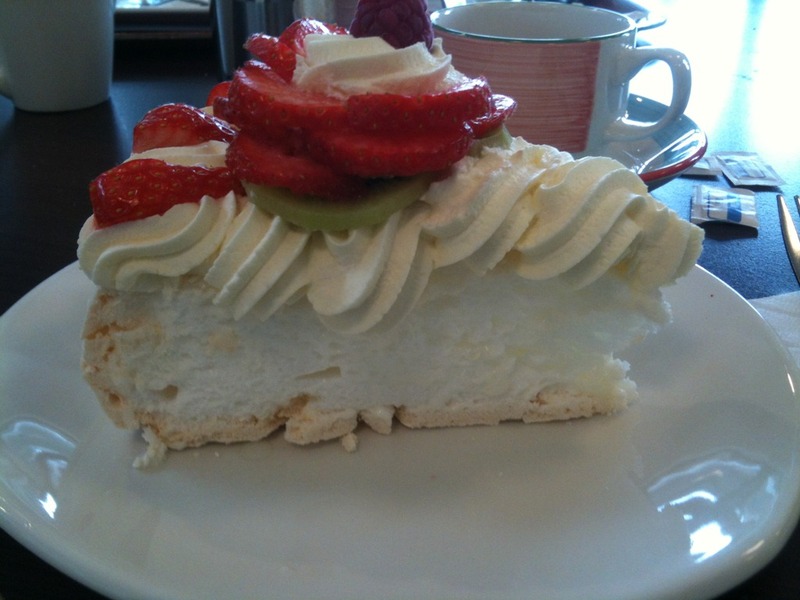 Pavlova in a Belfast Stylie – deep with more than your 5-a-day on top! 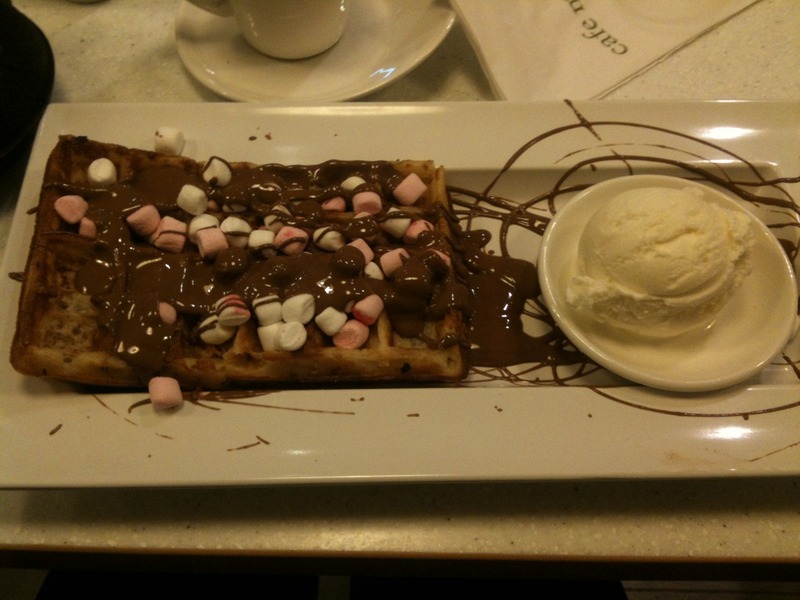 Next up was Waffles, with chocolate and marshmallows, at Cafe Maud’s on the Lisburn Road, which belongs to the people that brought us Maud’s Ice Cream. That was my friends Carols choice – and what a mighty fine choice it was too!! !